The IWSG was created by Alex J. Cavanaugh. April's co-hosts are Olga Godim, Chemist Ken, Renee Scattergood, and Tamara Narayan. 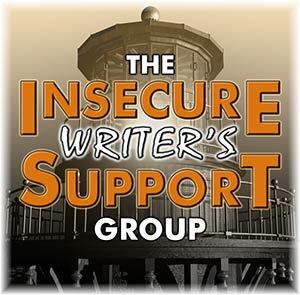 Please visit the other IWSG participants. 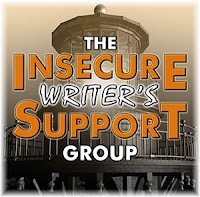 IWSG Day Question: When your writing life is a bit cloudy or filled with rain, what do you do to dig down and keep on writing? Last month was hard. It started out all right, but I received a Tetanus booster on March 5 during my yearly physical. I've never had a reaction to any vaccination before, but this one got me. I had a rash around the injection site for a week and my entire body ached. I still have a swollen, painful-to-the-touch lump at the injection site, and it's been almost a month since the injection. Then I somehow locked my sacroiliac joint with my pelvis on the left side. I was hoping it would fix itself, but it didn't. On March 26, I went to the chiropractor. The area isn't locked anymore, but I'm still having muscle spasms and pain from it. I've purchased a sacroiliac belt to stabilize the area, so we'll see how that works. If not, I'll have to return to the chiropractor. So the increased pain meant less energy, so there was no writing in March. 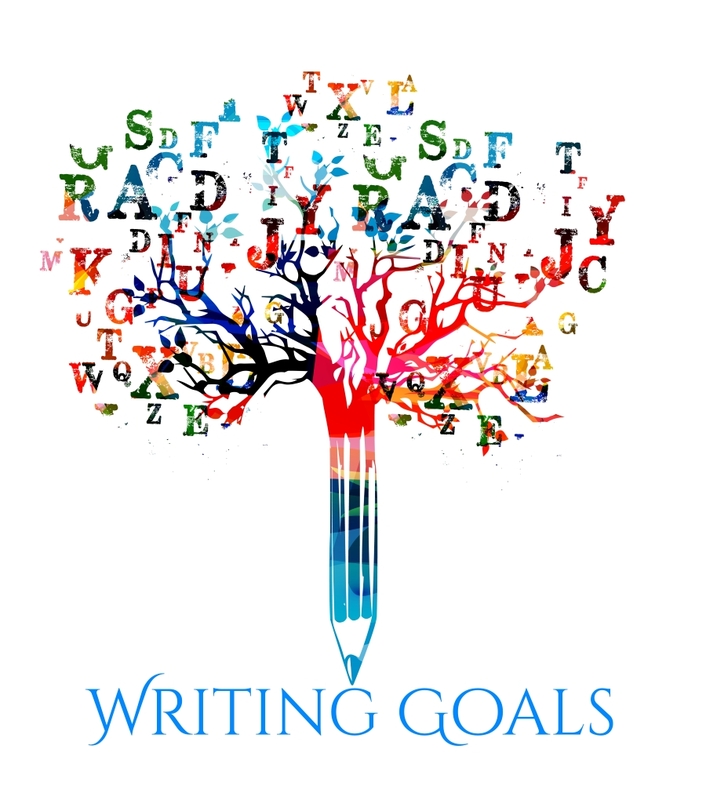 What do you do to keep writing? So my March goal of rewriting/editing 20,000 words in Forged did not happen. In fact, I've been thinking a lot about Forged and what I want to write in the future. Right now, I'm all into sci-fi, which makes it hard to write YA epic fantasy. I've consider unpublishing Reborn and Marked and making the shift to writing science fiction under the name CN Reich as opposed to Cherie Reich. But I hate the thought of leaving the few people who have read and enjoyed Reborn hanging. Plus, it'll be another year or more until I'll have enough research to write The Triliths Portals the way it needs to be written. So I do still plan to rewrite, edit, and publish Forged and Destined. But I need a break from it too. So for the next few months, I plan to focus on the print/ebook versions of Elements of Untethered Realms (forthcoming October 2018) and my UR Worlds story (forthcoming 2019). My UR Worlds story, though fantasy, involves a protagonist who is studying physics and astronomy, so I'll be able to indulge it my scientific knowledge while working in a fantasy world. My hope is that I'll be ready to rewrite/edit Forged once I finish the print proofread of Elements of Untethered Realms and the first draft of my UR Worlds story. Hopefully you can get back in the swing of writing and stay healthy! Sometimes some time away from the stories gives them time to grow in the brain and they're easier to write with a fresh spirit. Sorry about the reaction and the hip pain. Did they say you might react like that? Just take a break from the fantasy and finish off the series later. Fans can wait. Hi Cherie, I'm glad you are feeling better. Hope you write lots in April. Hugs. Ouch! That's good to hear the chiropractor helped. I didn't realize a chiropractor was good for muscle spasms. I'll remember that. The mix of science and fantasy sounds great. Ir's what I want to do in my books, assuming I ever finish the darn thing. Sorry about all the medical issues. That can be a real showstopper when it comes to writing. Heck, a bout of bronchitis was enough to knock me out of the writing routine for almost two weeks. Good luck with the chiropractor! Sorry to hear you're ailing. 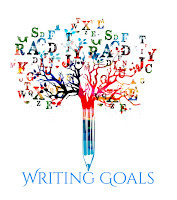 My goal for April is to finish the first draft of my current project, a contemporary romance, second in a series. It's threatening to become a sprawling mess, but my first drafts always are. I'm just going to let it be what it wants to be, then sharpen my machete for revision. Gute Besserung to you, and may April bring you better writing weather. =( I'm so sorry. My 2 year old had adverse reactions to her last immunizations too...except they resulted in decreased immunity for well over a month. Sometimes I wonder at conventional medicine. Here's wishing you a decrease of pain! Ugh. Sorry to hear you've been dealing with pain and issues. I know how draining that can be. Just try not to beat yourself up. Hope you feel better soon. Physical difficulties do make it hard, especially pain. Take care of yourself. Your stats for the year are still impressive! I'm sorry about all the pain you've been in. I barely kept writing in my journal last year during the worst months, so I get the need for a break. Sometimes, it's good to watch movies, read books, and daydream in those kinds of times - keep the story brain awake, even when writing isn't working out. Sorry for your health problems. Those are tough to deal with. I haven't written much in March as well, and I don't have your excuse of pain. Take care of yourself. So sorry that you still are going through these health challenges. Don't be too hard on yourself. It must be hard to just do your job. Sometimes life happens no matter how much we want to write. Mine has been like that too as I organize my mom's move to Michigan from Florida the end of this month. I have to do everything, so not much energy for my own writing right now despite my desire. It's hard to write when you're in physical pain. Hope you feel better. I hope you get better soon! Oh, yikes! So sorry to hear about all the pain you've been experiencing. Something like that would drain anybody, so I'm not surprised at all you had to step away from writing, as a result. Hope April is a better month for you! And I totally get the urge to play around with a different genre. (I sometimes have difficulty working on Echo Effect, since all I want to do is focus on my horror projects.) Your UR Worlds story seems like a great way to satisfy your need for something scientific, for sure. Good luck getting back into Forged after your break! It sounds like you've been busy despite all the physical difficulties and challenges going on. Praying April goes better for you—the reaction to the shot doesn't sound like a good thing at all! I hope you heal quickly from all this physical pain you've been in lately. That's terrible! Naturally, you're not going to write under those circumstances and you shouldn't even expect to. Health is priority number one, and you need to work at getting better before it becomes a permanent part of your life like it has mine. ACK! Sorry about the pain! It is hard to do anything while in pain. I hope you recovery quickly! So sorry you had that bad reaction! How awful. I hope April will be a much better month for you. Sounds like you have a good plan as far as focusing on the UR stories - good luck! Hi Cherie. In some ways I envy people who only write in one genre. So uncomplicated. I like the pen name route, but seeing you need a backlist to find any success as an author, a pen name for different genres makes this problematic. I'm still figuring it out while I write my books. Pain is an energy sapper. Hope you're doing better. I've been slogging through another adjustment at work, so not getting much done. But it's okay. I've debated pen names, as you know, and find the one name so much work, I'll just keep using it. Poor you. You really have had a rough time of it. Unfortunately, I do know a little of the pain you’re suffering. I injured my sacroiliac joint and pelvic floor muscle three years ago. I really didn’t know what pain was until that happened. It took a while to get the pain under control, but once it was and I saw a specialist physio, I did recover. Hopefully, you’re well on the way to be being better again. I cut my hand on rusty piece of metal and had to have a tetanus shot too. Thank goodness I didn't have a reaction. I'm so sorry that you did. So odd. I'm just glad you're feeling better, you'll get back to writing soon. I've been dealing with my own issues of writing downtime that wasn't a welcome change, but I'm finally coming out it. Wishing the same for you! Just dropping by to say hi! So sorry to hear about your reaction to the vaccine and your locked joint. Ouch. Neither sound fun and I can totally understand how they made you not want to write. I hope the belt helps with the spasms. Sending you healing thoughts!